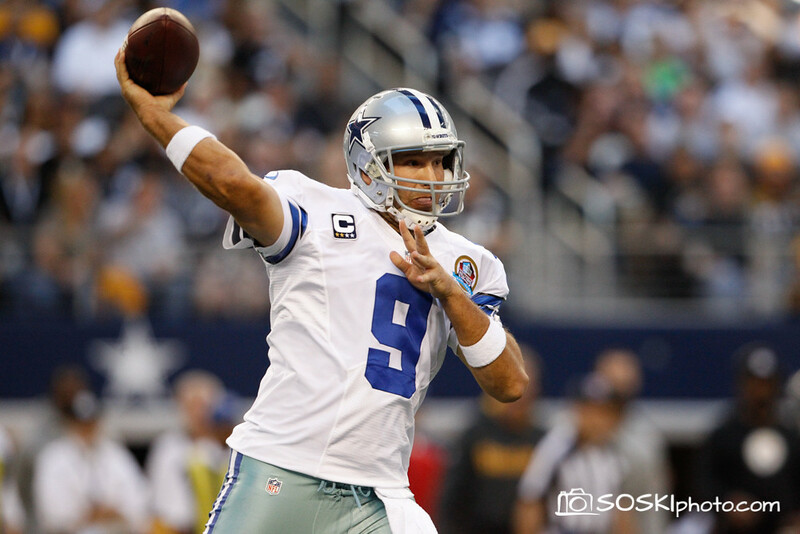 SOSKIphoto/Blog: On Assignment: Dallas Cowboys Beat the Pittsburgh Steelers in Overtime! On Assignment: Dallas Cowboys Beat the Pittsburgh Steelers in Overtime! I recently had the great opportunity to photograph the Dallas Cowboys hosting the Pittsburgh Steelers at Cowboys Stadium in Arlington, Texas, for The Dallas Morning News. This had to be one of the best NFL games I've covered. It certainly was a nail-biter as the Cowboys took the win in over time with an interception and subsequent field goal. 1. The Cowboys Stadium is awesome! The stadium lights were powerful and even across the field. 2. The Cowboys cheerleaders are gorgeous and probably the best performers in the NFL. 3. Halftime is short – skip the complementary media hot dogs. 4. Leave the sunglasses in the work worm, they're not necessary in the indoor/outdoor hybrid stadium. 5. The Canon 1.4x II extender is an amazing tool and will see a lot of use during football games. 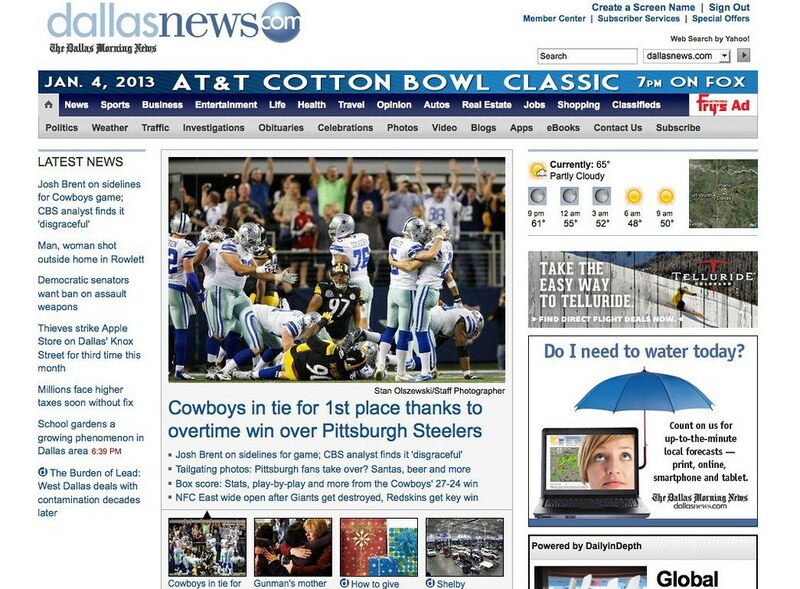 Tear sheet from The Dallas Morning News' website, minutes after the Cowboys' game-winning field goal. Check out the slideshow after the break to see the full coverage of the game, from tailgating to victory celebration. Excellent opportunity, I love your work, a good game and good scenario.